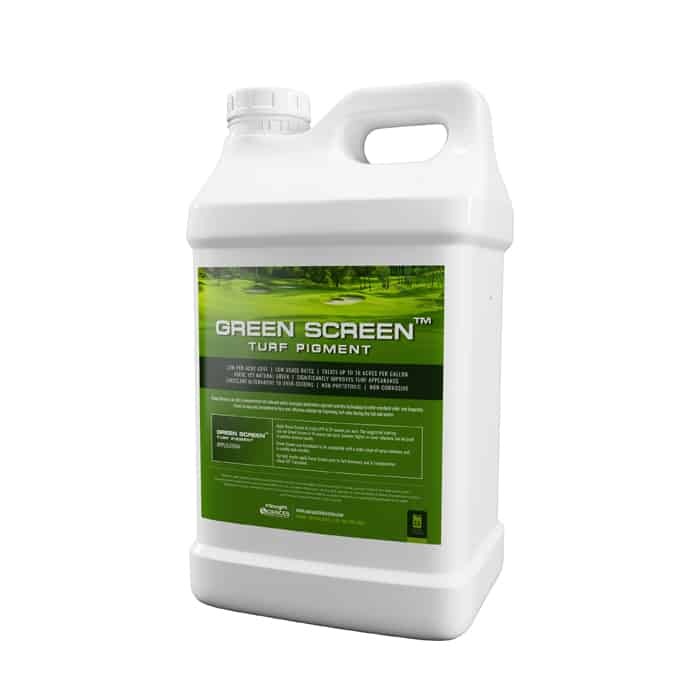 Green Screen is an ultra-concentrated turf colorant which leverages proprietary pigment and dye technology to offer excellent color and longevity. Green Screen was formulated to be a cost-effective solution for improving turf color during the fall and winter. Apply Green Screen at a rate of 8 to 24 ounces per acre. 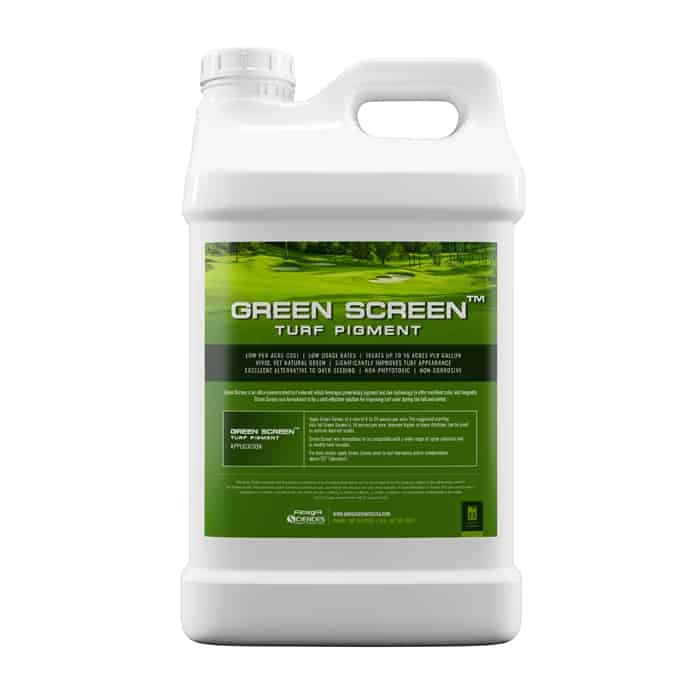 The suggested starting rate for Green Screen is 16 ounces per acre, however higher or lower dilutions can be used to achieve desired results. Green Screen was formulated to be compatible with a wide-range of spray solutions and is readily tank-mixable. For best results apply Green Screen prior to turf dormancy and in temperatures above 55° Fahrenheit.